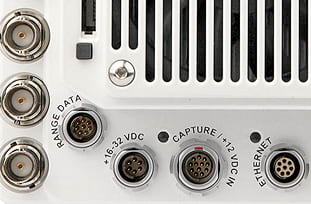 The Phantom Miro C210J connects directly to the Miro Junction Box 2.0. It is small, light, and rugged and designed specifically for on-board crash testing. The Phantom Miro C210J has been designed to completely integrate into crash test workflow scenarios. 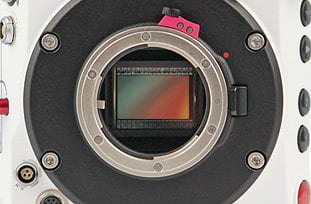 The 1.3 Mpx sensor has 12-bit depth and tightly packed 5.6 micron pixel size for high detail in a small package. Due to the intense and sometimes destructive nature of crash testing the small camera body is Hi-G tested with 170G shock and 24Grms vibration ratings. Another safeguard built into the Miro C210J is that it is specifically designed to protect critical data, especially in catastrophic events. The internal, non-removable battery and 128GB CineFlash work to protect images until they can be safely stored for analysis. 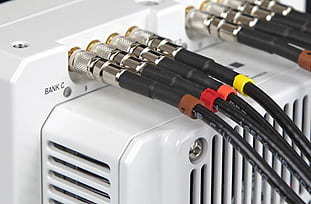 Rugged and flexible cables connect the Miro C210J to the Miro Jbox 2.0. They allow easy positioning in a vehicle while withstanding the tough environment found in auto crash and other testing facilities. The C210J connect directly to the Miro J-Box and does not ship with other accessories. Small, light, and rugged, the Miro C210J meets the most difficult applications. It achieves 1,800 fps at full 1.3 Megapixel resolution of 1280 x 1024. With an internal battery and internal, non-removable CineFlash, important images are protected in the event AC power is interrupted or a cable is severed. The C210J is designed to operate with a Miro Junction Box, and can be modular: create multi-camera configurations as simple or complex as needed. Miro Junction Box specifications can be found in the Accessories section of the Vision Research web page. 2.3 Gpx/s Maximum speed at full resolution of 1280 x 1024 is 1,800 fps. Maximum speed at reduced resolution of 64 x 8 is 67,140 fps. Minimum frame rate at all resolutions is 100 fps. Gb Ethernet for control and data. Ethernet is accessed through the system cable. 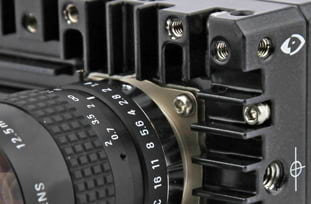 The C210 and C210J have 1" C-lens mounts that can be reversed to accept CS lenses. Camera: 16 - 32 VDC, 12 W, 18W during battery charge. All cables purchased separately, Software included with Junction Box. 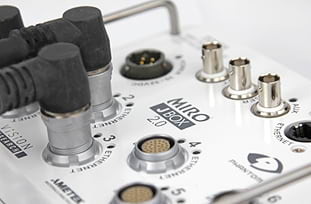 The Miro Junction Box 2 (VRI-Miro-JB-2) accepts up to 6 Miro cameras at once. The Miro C210J uses a System Cable, all other Miro cameras require a Miro C Capture or System adapter Cable. 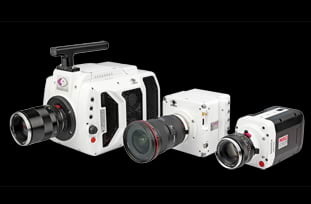 Up to 4 VEO S-model cameras are also compatible with the Miro-JB-2 (not the original Miro-JB). A JB Capture (or system adapter) cables are required for each camera. VEO L-model and V-Series cameras are not compatible. Vision Research employees volunteer at a local public school. 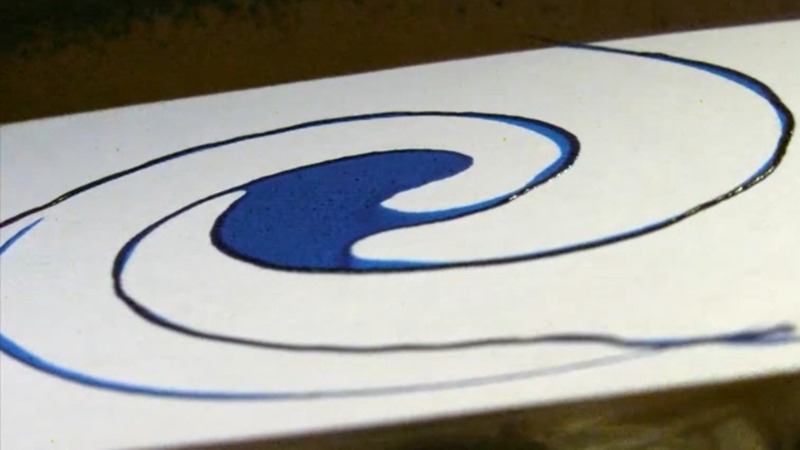 One experiment taught them about electricity in a fun and color way and was perfect for the Phantom C210J. 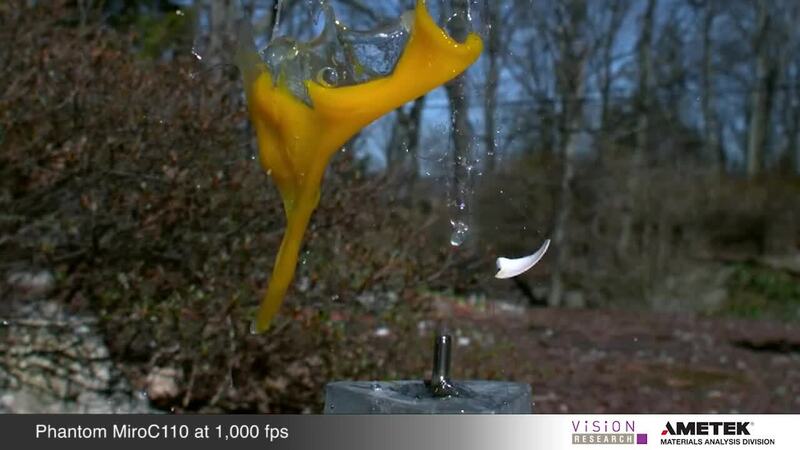 A Phantom Miro C210 captures fine details as fruit is crushed in a weight machine.